Teaching spelling strategies to ESL students is challenging for instructors. Many of the inconsistencies of the English language with regards to word meaning and pronunciation are directly confronted by students when they begin to put words to paper. In addition, the homophonic, multi-syllabic nature of English can pose particular challenges to second language learners. Luckily, there are many tips and tricks to help instructors and students sharpen their spelling skills. ESL students benefit from many of the same spelling strategies that instructors use with native English speaking populations. However, ESL students will inevitably require more time and practice when learning how to understand many of the spelling-related intricacies of the English language. Mnemonics are simple tricks students can use to help commit spelling words to memory. Associating the spelling of a word or part of a word with another word has proven to be a successful learning strategy. Providing students with some existing mnemonic examples will help them understand the concept, but students will be more successful if they create their own mnemonics for the words they have trouble spelling. 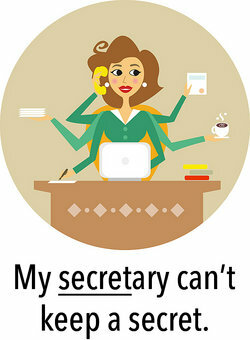 Secretary contains the word "secret" - My secretary can't keep a secret. Heirloom contains the same letter order as "their" - That is their heirloom. Mosquito contains the word "quit" - That mosquito better quit biting me. For ESL students, spelling mistakes are often caused by a simple misunderstanding of word meaning. Some words in English are homophonic, meaning they sound exactly the same as another word but have a different meaning. Other words differ very subtly in how they are pronounced. While these words are not truly homophonic, they still pose challenges for second language learners. Advise - Advise is a verb that means to counsel or suggest. Would you advise me to go to graduate school? Advice - Advice is a noun that means a suggestion or an opinion about a matter at hand. Ken gave be some good advice about going to graduate school. Conscious - Conscious is an adjective that means having knowledge of something or being aware or perceptive. During that long meeting I was barely conscious. Conscience - Conscience is a noun and means to have an inner feeling to guide you through questions of right and wrong. My conscience wouldn't let me take her money. Lead - Lead is a noun that refers to the dense, heavy metal. This table feels like it's made of lead. Led - Led is the past participle form of the verb lead and means to guide or direct. It was dark, but she led me across the field safely. Rhyming is a classic spelling strategy for students of all ages. Rhyming a word or a part of a word with another word that is spelled the same is a great technique to help students learn. These words are all spelled the same except for a different letter or two. Identifying how root sounds like this are spelled helps students quickly increase their spelling vocabularies. Unfortunately, there are certain words that defy logic in English. While native speakers unconsciously accept that the words "good" and "food" can be spelled the same way yet pronounced differently, ESL students are understandably troubled by these illogical facets of their target language. Students should make a list of troublesome words and isolate exactly where the problem parts are within the words. These areas need to be studied diligently and committed to memory. Focusing on the specific letters words that cause problems brings student's awareness to the source of the mistake and helps them to commit the proper spelling to memory. Spelling is another of the many of ESL instruction areas where instructors run into the reality that there is no homogenized ESL student. Teaching spelling strategies to ESL students is complicated by the diversity of the demographic. Different students bring different native languages into the classroom. The interlanguages they create while they are in between their native language and their target language vary greatly depending on the phonetic, syntactic, semantic, and morphologic qualities of their native language. A student whose native language is Spanish, for example, will face challenges with vowel sounds. Spanish uses a very static system with regards to how vowels are pronounced. The multitude of vowel sounds that English uses can cause particular spelling difficulties for native speakers of Spanish. On the other hand, students whose first language is Chinese will likely face difficulties with the polysyllabic nature of English. Chinese is a monosyllabic language, meaning every word has only one syllable, so the act of spelling longer English words by sounding them out may be challenging for these students. As an instructor, it is important to constantly be aware that the ESL experience varies greatly for every student, particularly when they speak different native languages. "Teaching Spelling Strategies to ESL Students." YourDictionary, n.d. Web. 22 April 2019. <https://esl.yourdictionary.com/lesson-plans/Teaching-Spelling-Strategies-to-ESL-Students.html>.